Aerial photography with a drone can be very tricky, especially if you are just starting out. The quality of your drone and your camera is of course very important, but you also need to know aerial photography basics. 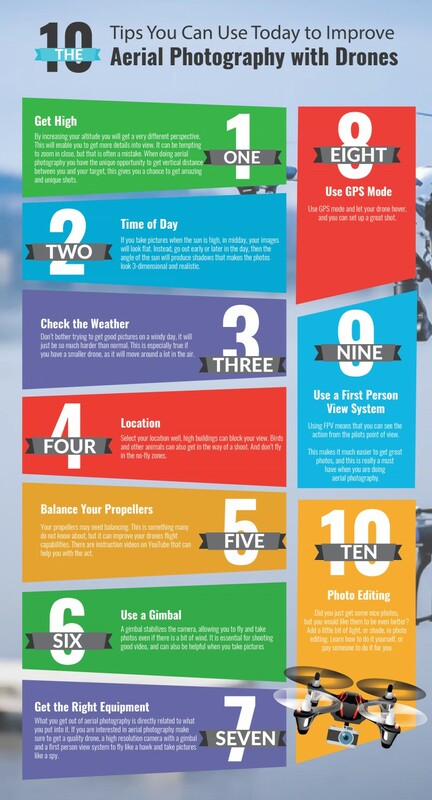 This infographic from DroneGuru can help you get the most out of your photo session with your drone.